Are you selling your house? Great photos on your listing are essential! 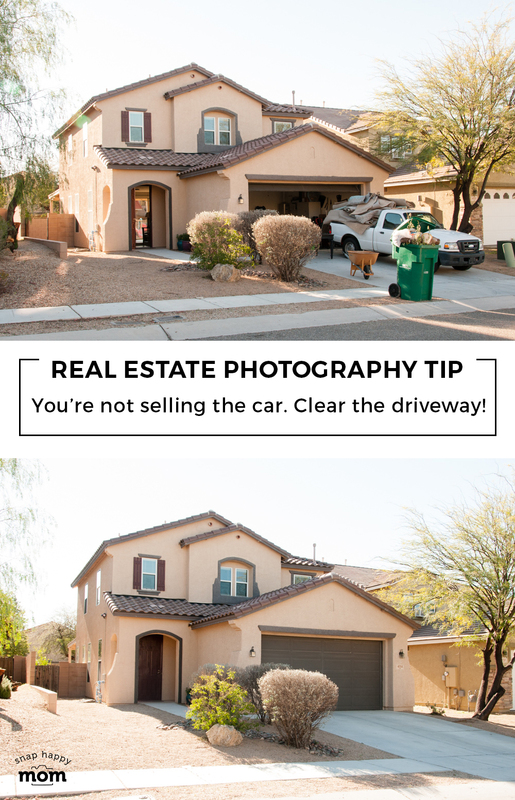 Take your own photos with these 7 tips for exterior real estate photography. 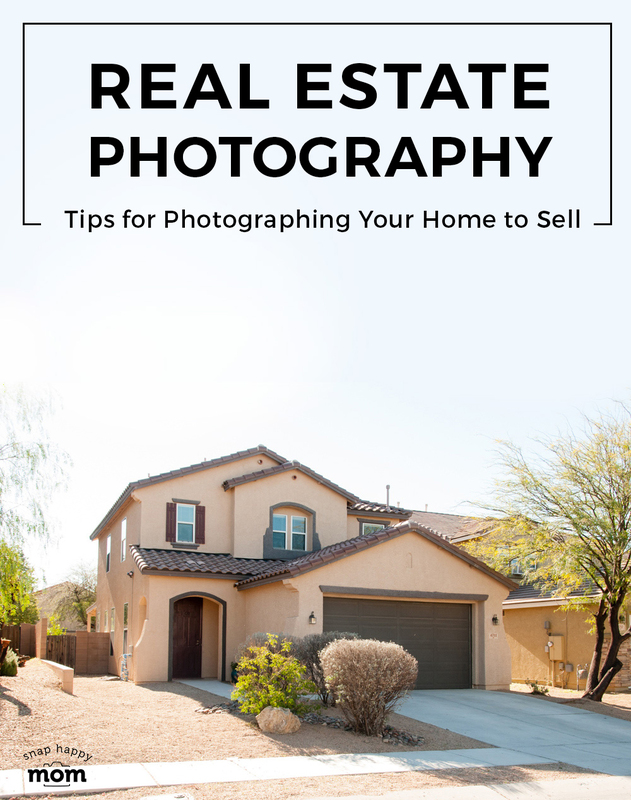 Taking pictures of your home yourself is one way to save money in the home-selling process. But those pictures have to be top-notch since they’re the first things prospective buyers see, and you need to make a great first impression! If you have an expensive home, then your real estate agent usually hires this out. 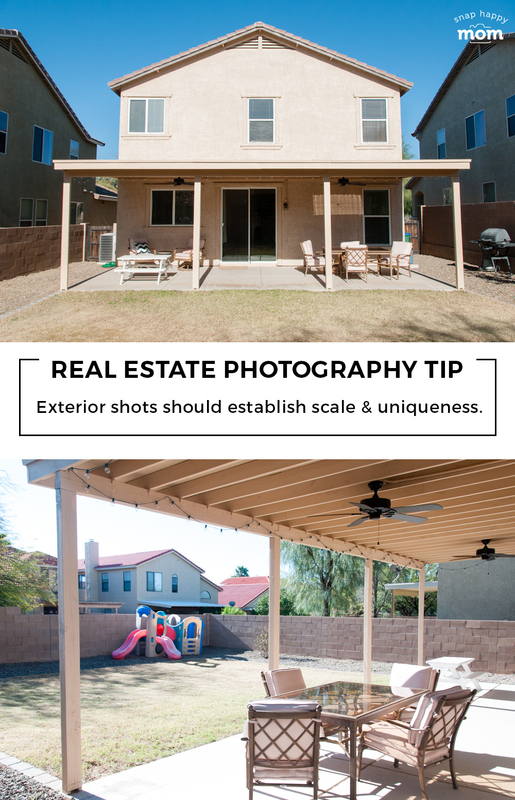 But if you’re on a budget or handling your own listing, then you can use these tips to take great pictures of your home. 1. Make sure the exterior of your home is ready. Staging your home is just code for “getting it ready to photograph.” There’s lots of information on this post for how to get it ready. In short, you need to make sure it has curb appeal. Clean up, get the cars and trash care out of the shot, and give your home an extra bit of hominess with flowers or a wreath. 2. Choose the right time of day to take pictures. This is one tip you can’t afford to ignore for exterior real estate photos: pick the right time of day to shoot! You want a picture of the home that shows it off, which means you need to shoot when the light outside flatters your home, instead of distracting from it. All the windows and overhangs of your roof can really get distracting if the sun if coming from an odd angle! You don’t want a picture that has both shadows and direct sunlight on the face of the house, because it makes it hard to see anything about the house clearly. It’s tricky because there’s no perfect time to shoot every home: they are all different and face different directions! Since every house has a different orientation, you’re going to have to do some field research about what time of day your house looks the best. Look for what time of day has even lighting across the whole front of your home. You don’t want shadows from the garage falling on an otherwise bright home. You also don’t want shadows from surrounding trees or power lines showing up on the house. You probably want the front of the house to be in full sun (the sun at photographer’s back) or full shade (the sun completely hidden behind the house). Depending on your house orientation this could be in the early to late morning or late afternoon into sunset. Whatever you do, you don’t want to be shooting directly into the light since then you’ll get flare. 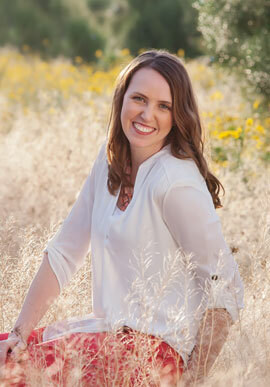 You’ll also want to compensate the exposure for a house that’s very bright or fully in the shadows. High noon is likely the worst time to shoot pictures of your home, because the sun will be directly overhead. Keep in mind that some of the house will be in shadow, but the rest of it will be too bright and contrasty, which will not look good in photos. 3. Shoot horizontally on a wide angle lens, a little higher than usual. A wide angle lens is usually the only way to get the whole house in the shot. You simply won’t be able to fit in the house and a bit of the yard otherwise. Always use a horizontal orientation for the photo. Even if your house is two stories, home realty is set up for wide pictures, so shoot horizontally! Height-wise, two story houses usually benefit from the photographer being at a slightly higher angle. I’ve stood in the back of a parked truck to give me a little boost, or even used a small step ladder to get a bit higher. A few inches or feet can make a big difference in how the camera “sees” the house! The best spot for photos is probably either in the middle of the street or across the road. Please be safe if you choose to shoot from the road! Standing on the near side curb to the house may get everything in the frame, but the focal distance will not be very flattering. Everything will feel squished and imposing if you shoot a large home from that close. It’s better to shoot from a little further away and then zoom in a bit if you need to. Instead, walk across the street to the far-side curb, or try standing in the middle of the road (as long as it’s safe! It helps to have a buddy to watch for cars). The perfect distance will depend on how far back the house it on the lot. You need the whole house and a good chunk of the driveway. Showing sidewalk gives some context to how far back the house is, but it’s not necessary. 5. Choose a flattering, unobstructed angle so you can see the house’s depth. A straight on shot is worth taking, but you also need an angled shot to show the depth of the house. It’s like seeing the house in 3D instead of just a flat 2D version. Choose an angle that flatters the home: it should showcase the house’s depth, and let you see how far the house goes back into the yard. 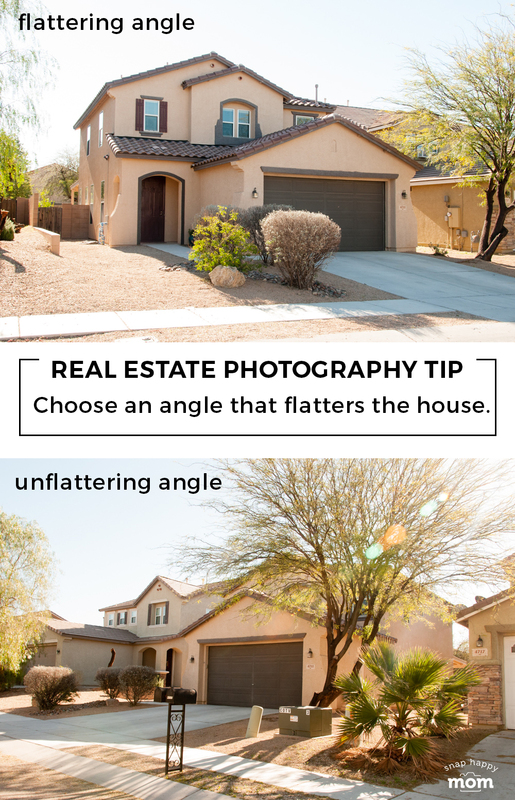 Walk around and take pictures from different angles and corners – you’ll probably find that one side of the home will be significantly more photogenic than the other, because it will show off the house instead of the garage! Take special care to make sure the angled shot doesn’t confuse the viewer. Depending on the neighborhood and how close the houses are to each other, too deep of an angle will make it hard to distinguish one house from the next. The top picture is great: you can see how deep the house is, a few windows, and there are no obstructions. But the bottom picture does little for the house! It emphasizes the tree and the mailbox instead of the house. And see how the roof line creates a bit of an illusion? The roof line of this house runs into the neighbor’s house visually, making it hard to see which house is which. To avoid this, choose a shallower angle, or one where you can see space in between the two houses. 6. Stop down your f-stop so everything is in focus. 7. Backyard photos are for showing off landscaping and establishing scale. A few pictures of the backyard are always helpful. However, recognize that ideal lighting on the front side of the house probably means less than ideal lighting on the back side. If you’re taking pictures yourself, simply plan on taking pictures of each side at the best time of day for your home. The goal of backyard photos is to show off any landscaping or unique features like a pool, porch, gazebo, or deck. If you don’t have a lot of extra things going on, then just shoot from the far corner or middle of the yard looking in towards the house. This gives viewers another view of your house and allows the home itself to provide scale for the size of the yard. The exception to this would be if you had a fantastic view of nature or a city line. Then, take the photo from the house side looking out at your pretty view. 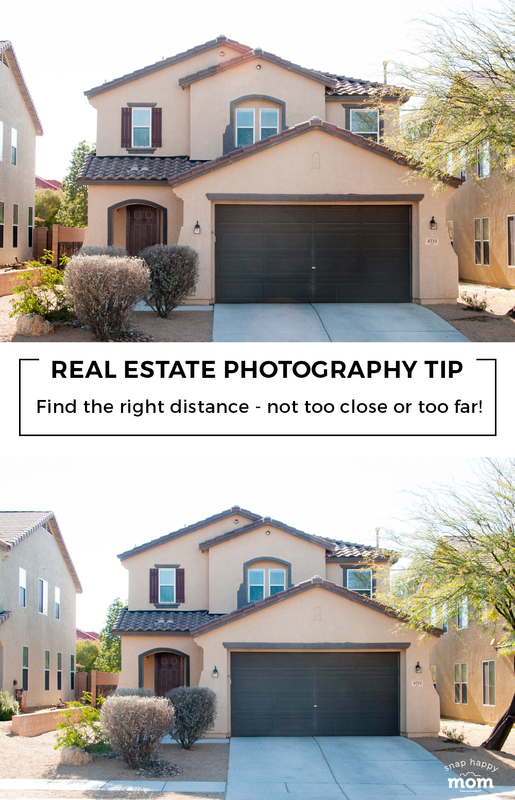 Great tips to capture home listing photos. Listing photos play a vital role to attract potential buyers.